Gordon Architecture, Inc. specializes in custom home design and full scale renovation projects, based in Wheaton, Illinois. We emphasize collaborative relationships focused on direct attention to your design problem. With an eye towards solutions that are appropriate in context, considerate of thoughtful detail and functionally efficient, we will work to help your dream become real. 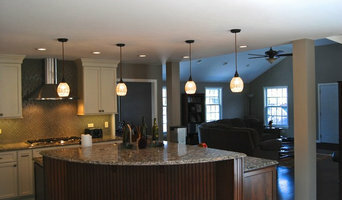 Legacy Design & Construction, Inc. is a Master Certified Remodeler in the Chicago Suburbs. Specializing in home remodeling; we design and build kitchens, bathrooms, additions, renovations, and new homes. Our client’s homes receive the utmost of respect, time, and attention throughout the entire stage of the remodeling process from ideas to construction completion. Financial budgets, safety, and concise scheduling are closely monitored throughout the course of the project. 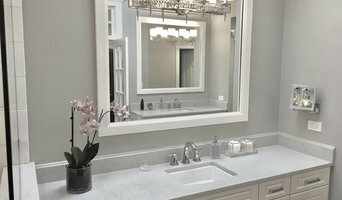 Our superior workmanship and trust in the industry has allowed us to gain exceptional awards in custom home remodeling. Our solid business ethics transcend into every aspect of our projects and relationships. We are a full-service kitchen design, bathroom design and cabinetry sales company conveniently located just minutes from downtown Chicago. Featuring a number of exceptional cabinetry lines at very affordable prices, Cabinet Style Studio can work within any budget. Whether you are planning new construction or a remodeling project, Cabinet Style Studio offers a complete portfolio of design and construction services. From Concept to Completion, Cabinet Style Studio does it all with a personal touch!